I am a Get Away Today partner and may receive commissions for Get Away Today vacations booked through links on my site (THANKS). I was not compensated for this post and all opinions are my own. I was recommending Get Away Today to all my friends BEFORE becoming a partner, because they are that amazing. ? 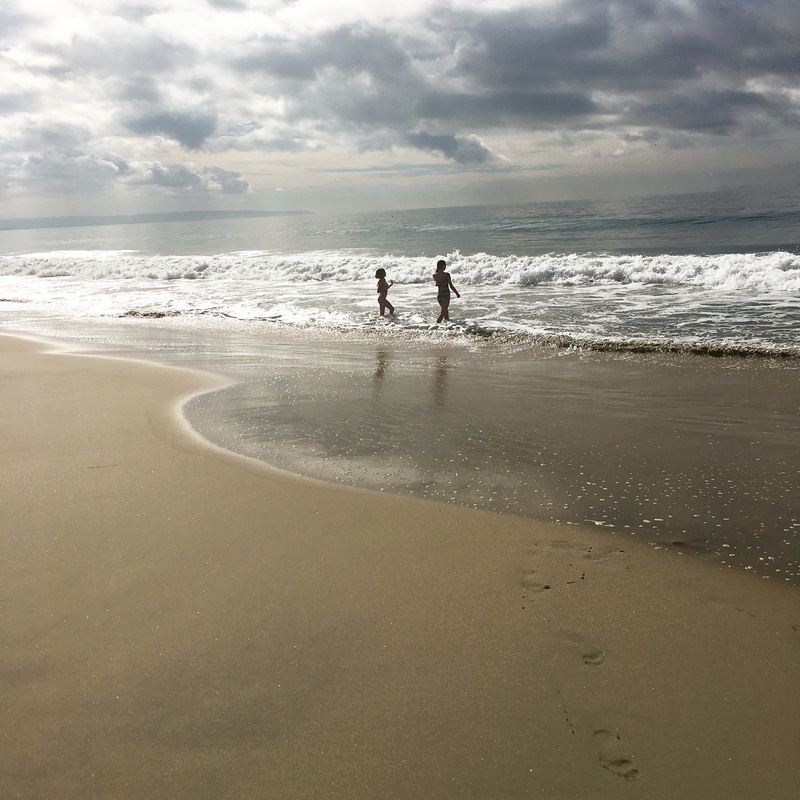 A couple of weeks ago I blogged all about our trip to Southern California. We spent a couple of days in Anaheim and a couple days in San Diego. You can find the blog detailing the Anaheim portion of the trip here: Our Disney Savings Plan: How we paid for our Disney Vacation while on a small budget. Refer to my Disney post to read all the details about how we saved money on food, souvenirs and transportation while on this trip. Today’s blog is all about our couple of days in San Diego. Once we arrived in San Diego we checked into our hotel, the Holiday Inn Express San Diego Circle. We loved this hotel. It was a really good value. It had a modern layout and design. The kids always had the pool to themselves, and the room was the perfect size for our family of five. It had two queen size beds and a couch that could be made into a bed. It was nice to have a little elbow room while in the room. We found the hotel on Get Away Today. I am so in love with Get Away Today. They offer the best discounts on any Southern California Vacation, and they are so easy to work with. I used them a few years ago for a trip and knew that we wanted to use them again for this trip. Get Away Today is offering my readers an additional discount, I’ll share the coupon code at the end of the post! We had two full days in San Diego and wanted to spend one of those days at a beach. I researched San Diego beaches and came across Coronado Beach. It looked and sounded beautiful so we decided to spend our beach day there. The parking was FREE, which is a huge bonus to me. The beach was beautiful with soft golden sand and a great view. We spent a Sunday there and were expecting large crowds, we were so pleasantly surprised when we found the beach quiet and we seemed to have our own little space all to ourselves. The waves were calm enough for my school aged kids to swim in, they spent hours laughing and swimming in the waves. Our favorite part of the beach were the sea shells. When the tide went out around 2 in the afternoon we were able to find dozens of perfectly round beautiful sand dollars. We had so much fun walking up and down the beach collecting our treasured sand dollars. 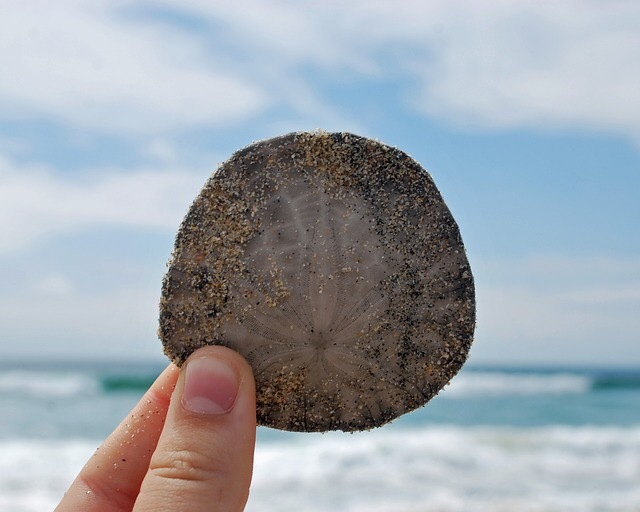 We ended up finding 53 perfect sand dollars in only about an hours time. 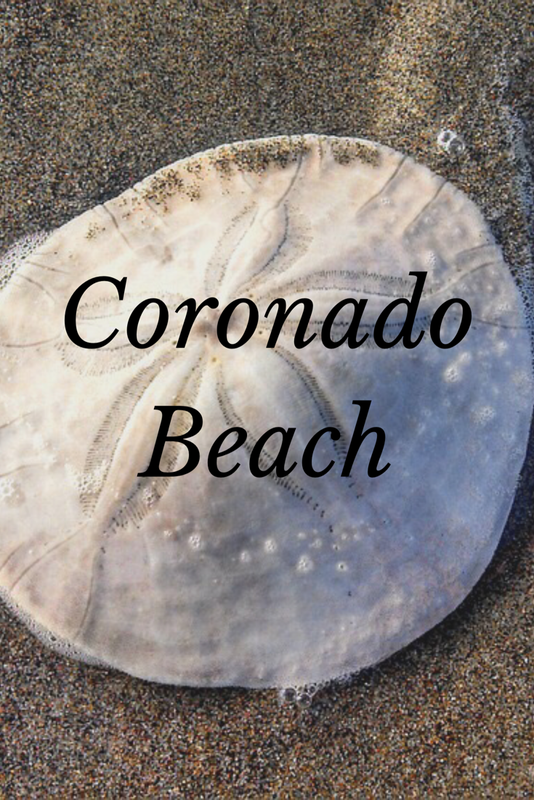 If you are looking for a great San Diego beach and love finding great shells go to Coronado Beach. Our other day in San Diego was spent at Sea World. This was a highlight of our trip. The park was so empty, we were able to walk right onto every ride, had great seats for all the shows and loved learning more about the beautiful sea animals. 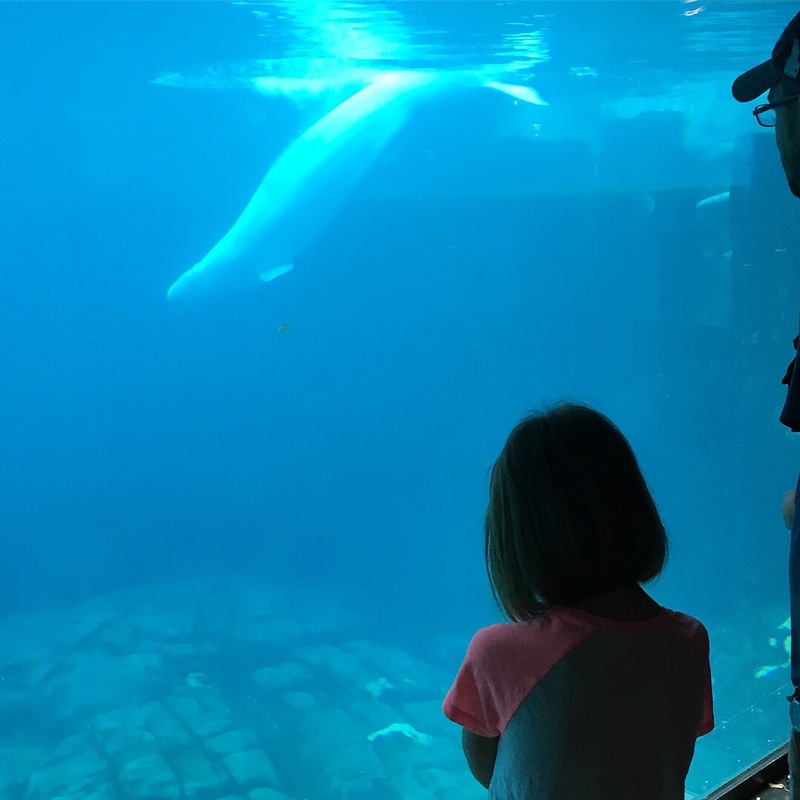 Get Away Today offers 7 day Sea World tickets for a great price. If you are wanting to spend a few days at Sea World be sure to buy those tickets from Get Away Today. We only had time for one day though so we bought our tickets directly from Sea World’s website. If you are only going to spend one day there then definitely buy them from their website, you won’t find a lower price anywhere else. My only regret about San Diego was that we didn’t spend more time there. I wish we had planned a few extra days and I want to go back and visit again sometime. It is a really beautiful city with so many activities. 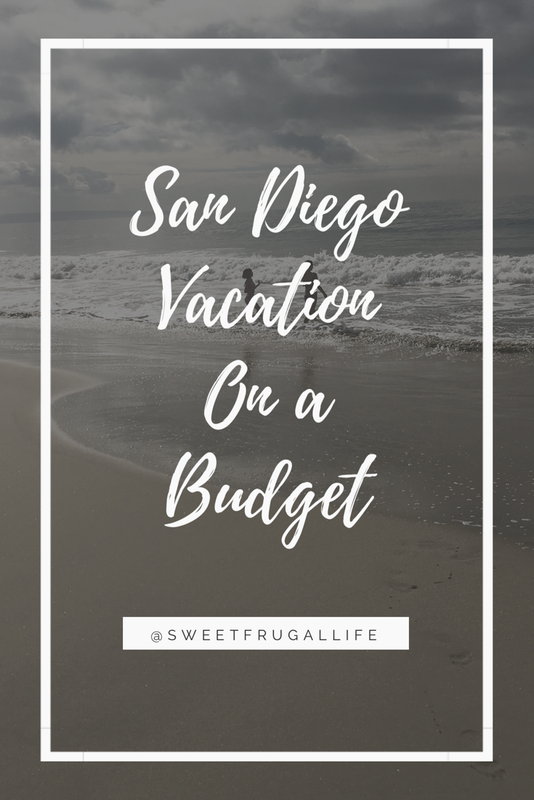 If you are planning a Southern California vacation through Get Away Today feel free to use the coupon code: SweetFrugal at checkout for an extra $10 off your vacation package. Happy Frugal Travels! San Diego is one of my bucket list places I need to go! I love California! It’s such a pretty city! My husband and I had a trip to Coronado Island last summer and would have loved some of these tips! I absolutely loved Coronado! How fun! You found multiple sand dollars?! I’m going to have to try that beach! I love all of your tips for visiting on a budget. San Diego is one of my favorite places in the entire world! Yes!!! Over 20 sand dollars found in less than an hour! It was amazing! 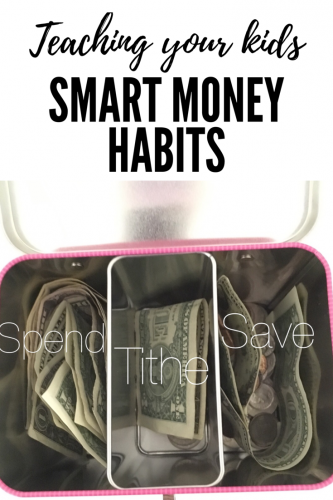 great resource for saving money and living on a budget. Love the shell. The beach is great. I have never heard of Get Away Today. It sounds like a great place to find a good room at a good price. It has the best deals! I’ve been wanting to visit California for so long. 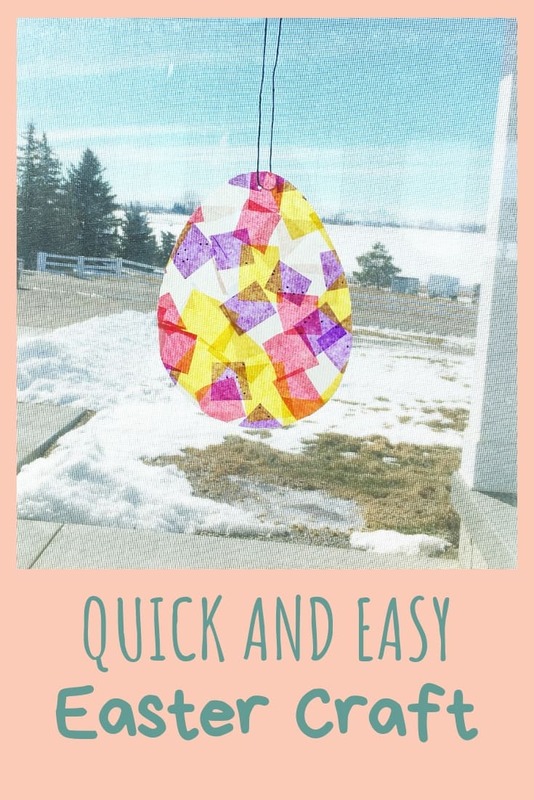 This guide is a definite must.